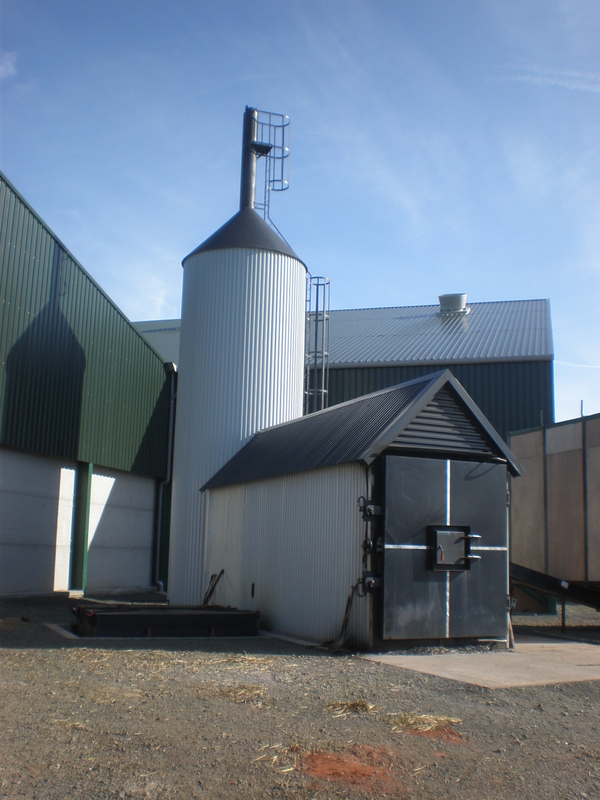 We have obtained the necessary Planning and Building Warrant Approvals for a number of large scale Biomass Boiler Heating installations for Farms and Estates in the Scottish Borders, Northumberland, and East Lothian. Some of these Applications include Listed Buildings. The installations generally attract renewable heat incentive (RHI) payments from the Government for the energy generated on site. The installations are fueled by straw, wood-chip, log, pellet and other Biomass waste products. The energy produced is stored and can be re-distributed to provide heat for Grain Drying Plants and/ or other buildings and dwellings on the Farm. The heat distributed to Farm Cottages can be sold as a cheaper alternative to run the tenants heating system. In an Agricultural Installation, the Biomass Boiler can replace gas/ oil/ diesel Grain Drying Plants with a highly efficient system, significantly reducing running costs. We have worked closely with a local supplier on these installations and they will provide detailed advice on any aspect of the system if you require.